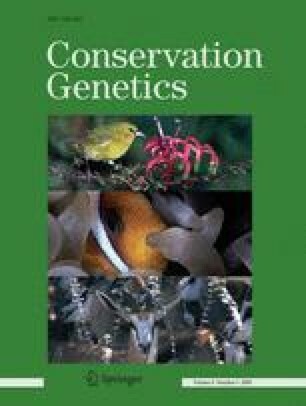 Differences in coloration between eastern and western populations of the Chinese cobra (Naja atra) in Taiwan have been noted by snake collectors, snake keepers, and users of Chinese traditional medicine, but have never been verified by scientific research. In this study, we quantified the amount of black pigment on ventral scales, and found prominent differences in ventral coloration of populations across Taiwan; populations in eastern Taiwan have black ventral scales while populations in the west are predominantly white. Previous studies have shown a similar east-west population differentiation in regards to venom components. We supplement these data with mitochondrial control region sequences, which show extremely low nucleotide diversity. Black-ventral and white-ventral snakes share major haplotypes and show no genetic differentiation. Nevertheless, moderate Fst and low Nm values between populations indicate low levels of gene flow. With a morphological fixation earlier than mitochondrial sequences on a relatively short evolutionary time scale, ventral coloration is potentially a result of local adaptation. Based upon the results of this study, along with traditional observations, we strongly recommend treating each of the four populations of the Chinese cobra in Taiwan as distinct ESUs. Reintroducing confiscated snakes from the illegal trade back into the wild needs to be halted to prevent artifical gene flow. We thank Miss Po-Juan Hsieh and Miss Hsin-Yi Hong for their assistance in data analyses and systematically organizing the progress of this research. We thank Mr. Ching-Feng Lin for his skilled work in keeping and measuring the snakes. We are also thankful for Miss Mei-Ju Lin and Hsin-Yi Hong for their great help in laboratory works. This study was based on the funding (93AS-4.1.1-FB-e2) given to Hua-Ching Lin from the Council of Agriculture, Taiwan.